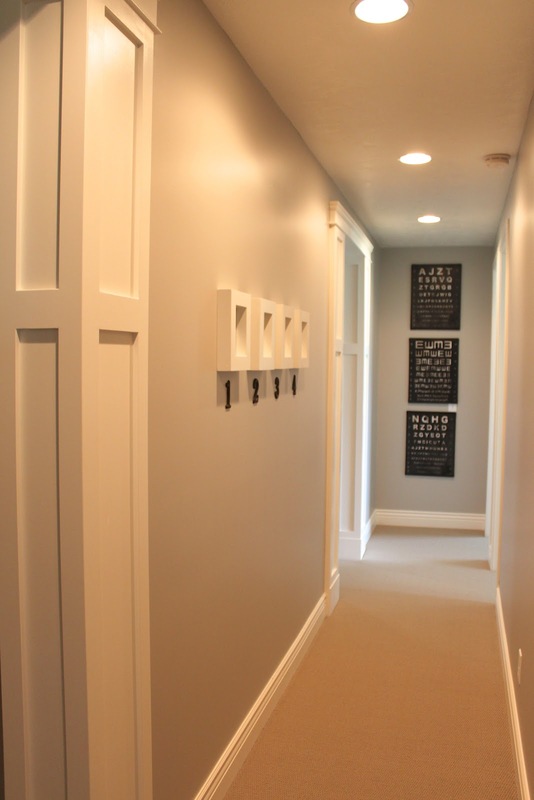 My downstairs hallway needed some more artwork - this was a very easy and cheap solution! I simply took pictures of the profile of my boys faces then printed them out on my computer. After taping the picture to a piece of black card stock I carefully cut them out. 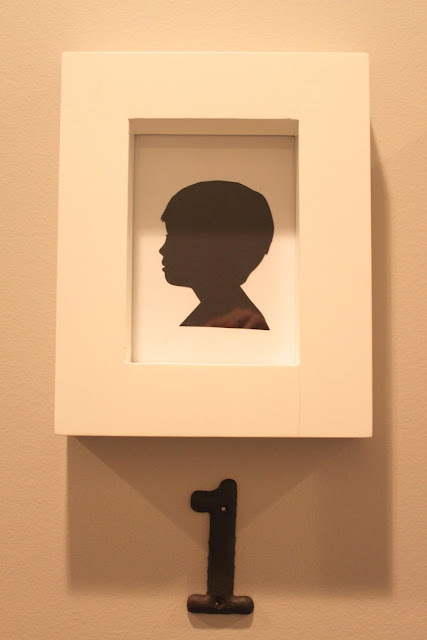 Then I taped the black card stock silhouette onto a white piece of card stock then framed it! These frames are old ones I already had on hand (like I said this was a very easy and cheap project!). After hanging them in my hallway the frames looked too small and needed something more so I added the numbers below to give them more presence. I found the numbers at hobby lobby for $2 a piece. I couldn't fit the fourth frame in this shot but I did make a silhouette of my baby as well. It didn't turn out great so I'll probably be redoing it when he gets a little older and can hold his head up on his own! They look so good!! I love projects like this, that are super easy to do but that look so nice! I love the look of silhouettes!